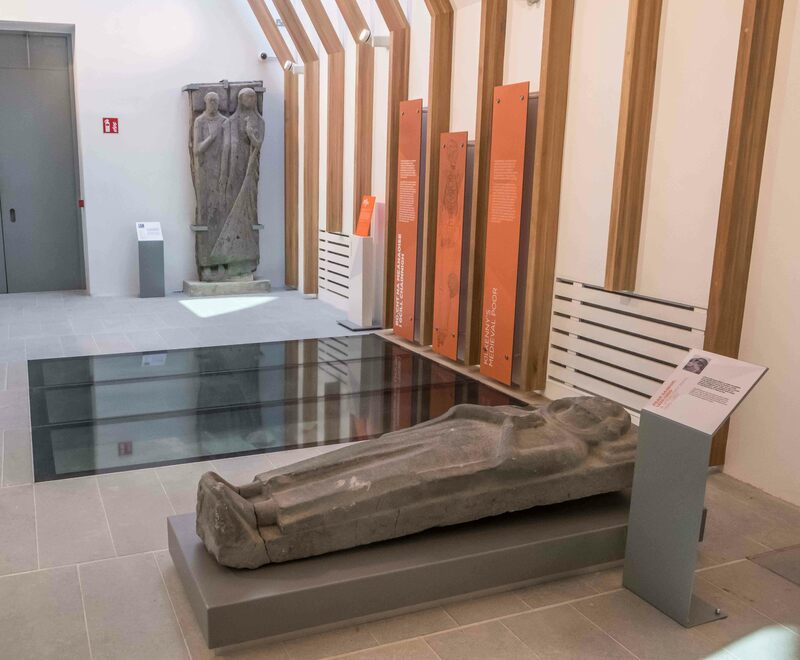 Marcon has completed the internal fit-out of the new €6.5 million Kilkenny Medieval Mile Museum. 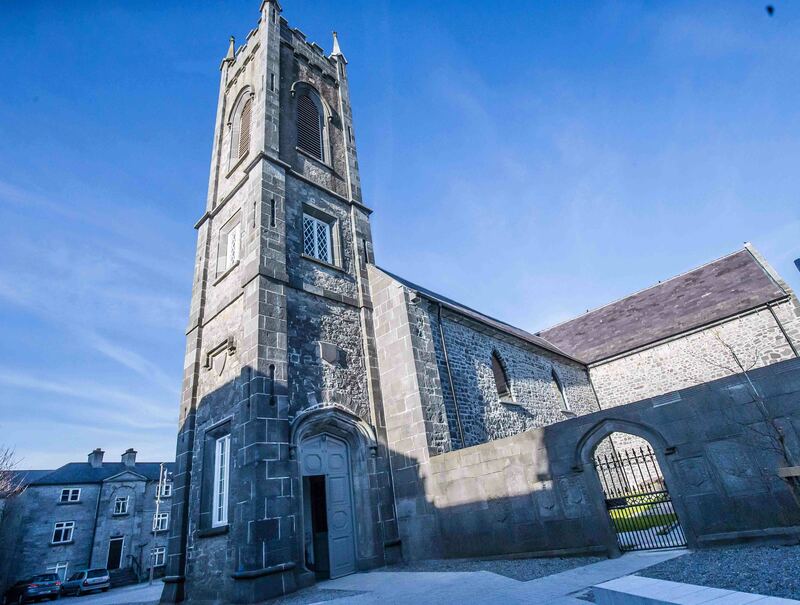 The 13th century St Mary’s Church is the finest example of a medieval church in Ireland and has been converted into a modern museum. 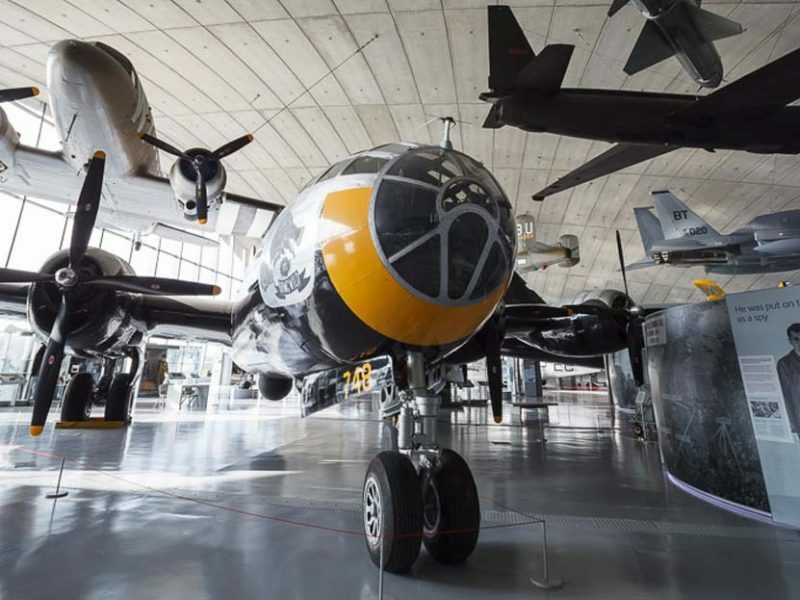 The stunning venue will also available for select events and exhibitions. 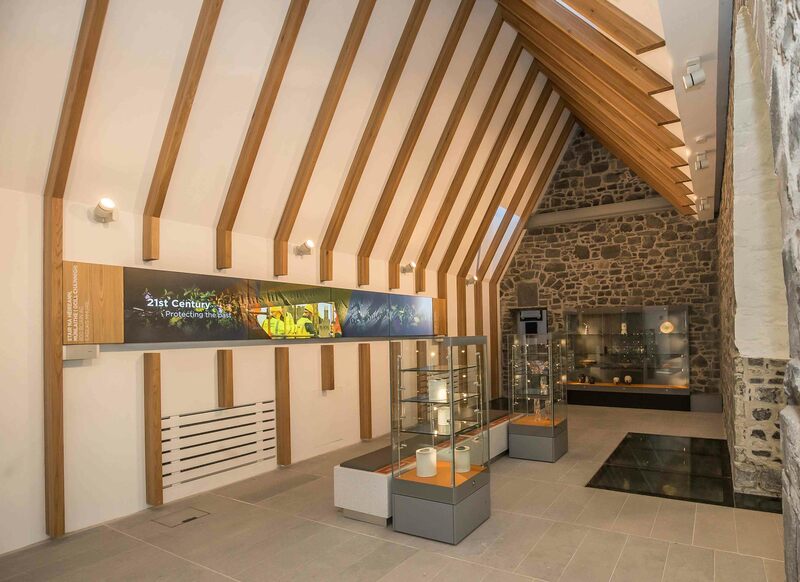 Working closely with leading Edinburgh-based interpretive designers Bright, Marcon completed the intricate scheme which complements the architecture and blends traditional and contemporary features within St Mary’s Church. 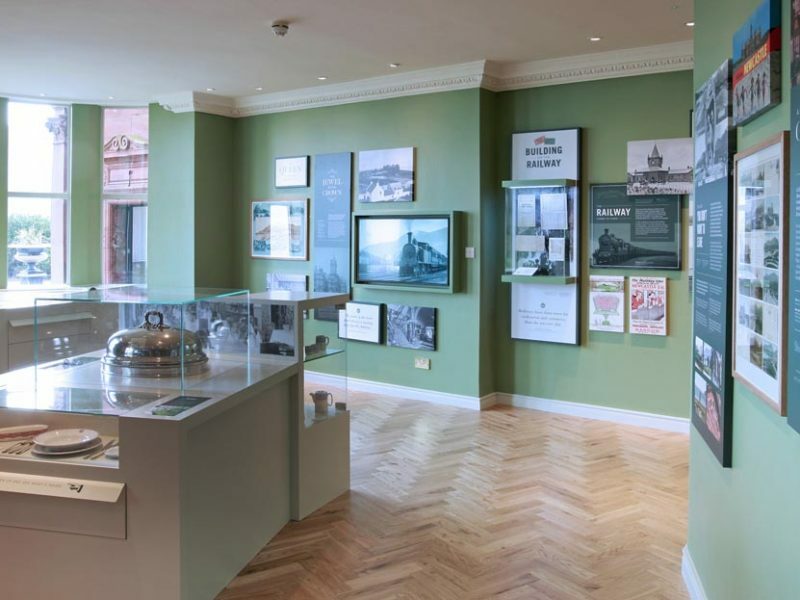 Marcon was responsible for the manufacture and installation of all specialist joinery and corian plinths, graphics, conservation grade display cases and the coordination of all audio visual hardware. 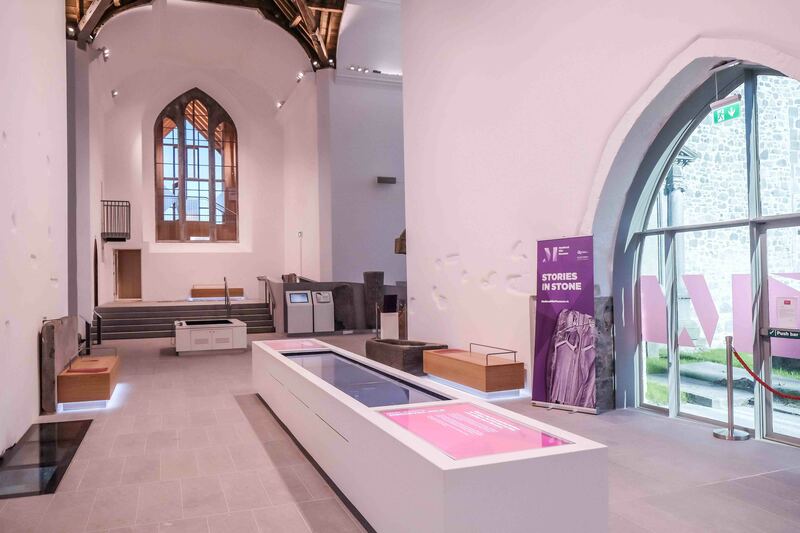 Kilkenny’s 800-year story is told with a contemporary twist within the new museum. 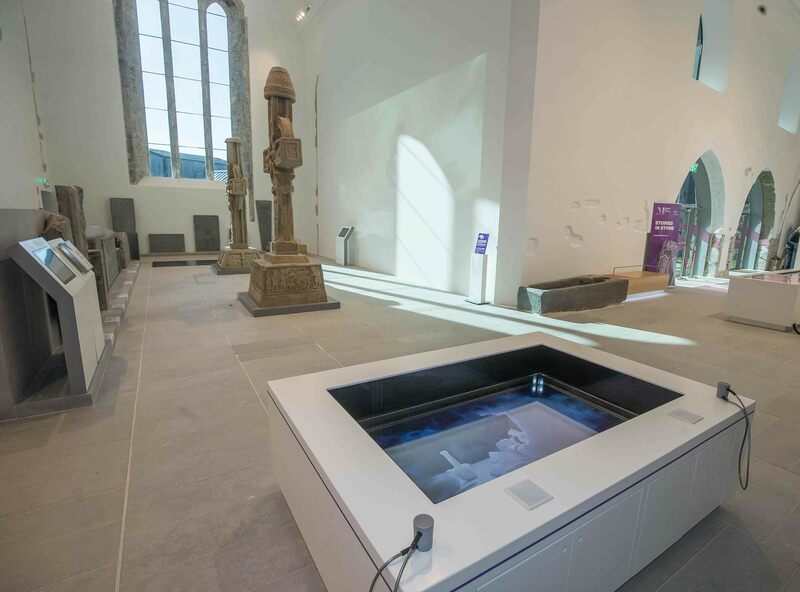 The customer experience contains a long colourful interactive touchscreen table that looks and operates like a giant iPad, an elongated plasma TV screen and projected imagery onto a giant wall allowing visitors to get immersed in the rich history with the aid of modern technology. 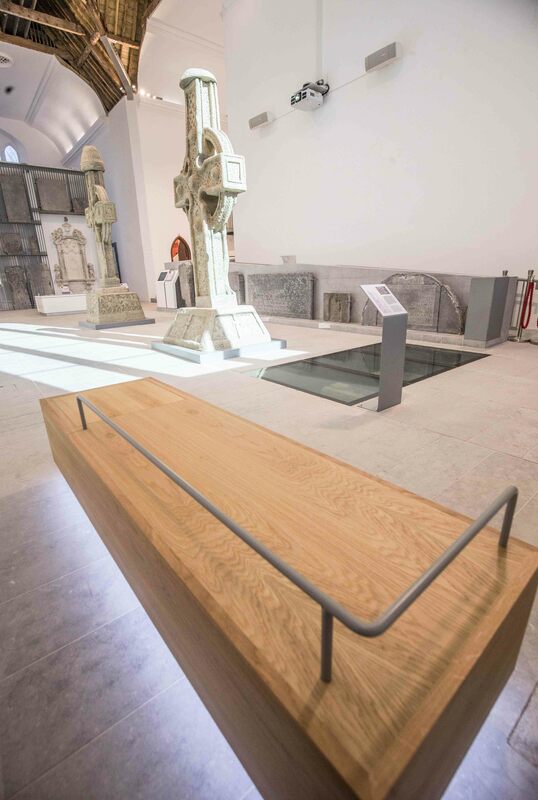 Visitors are led to the priceless LiberPrimus Kilkenniensis – the First Book of Kilkenny dating from 1231, using intriguing floor projection. 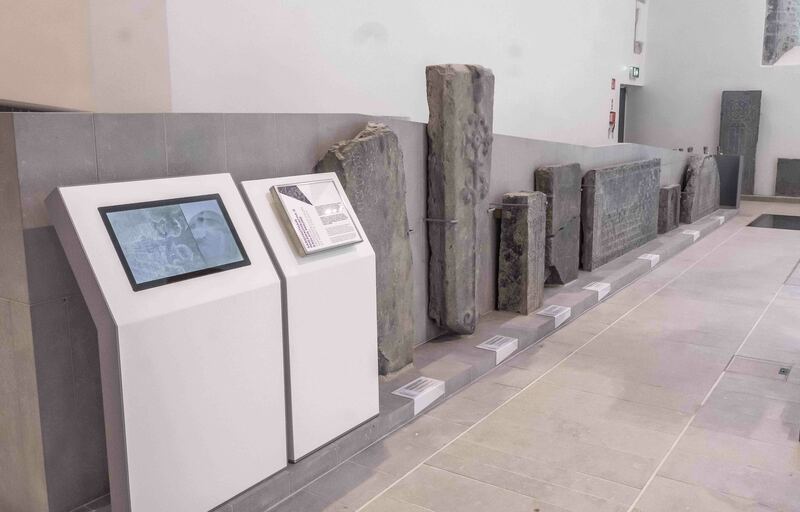 As the starting point of the ‘Medieval Mile’ trail, it brings to life Kilkenny’s history as Ireland’s premier medieval city. 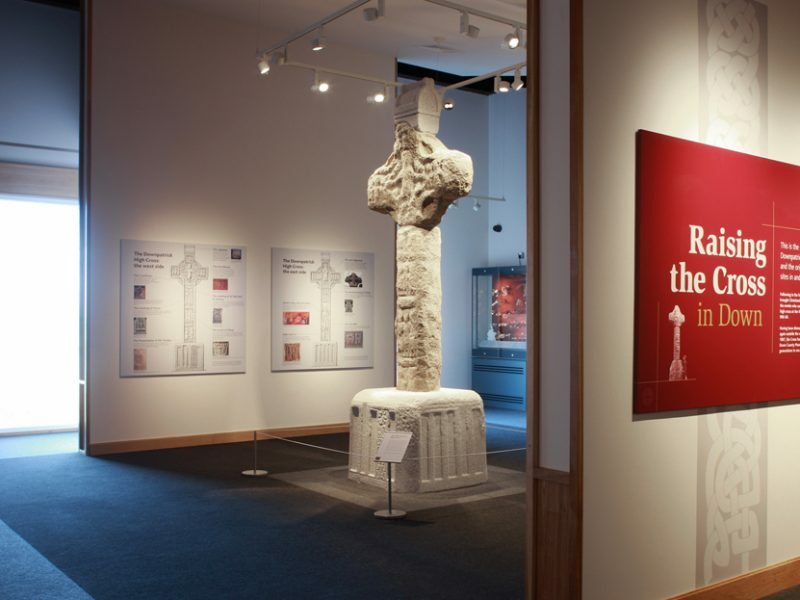 Displays of Kilkenny’s civic treasures and replicas of some of the High Crosses of Ossory illustrate the local Gaelic monastic heritage and the ancient city’s historic role in Ireland. 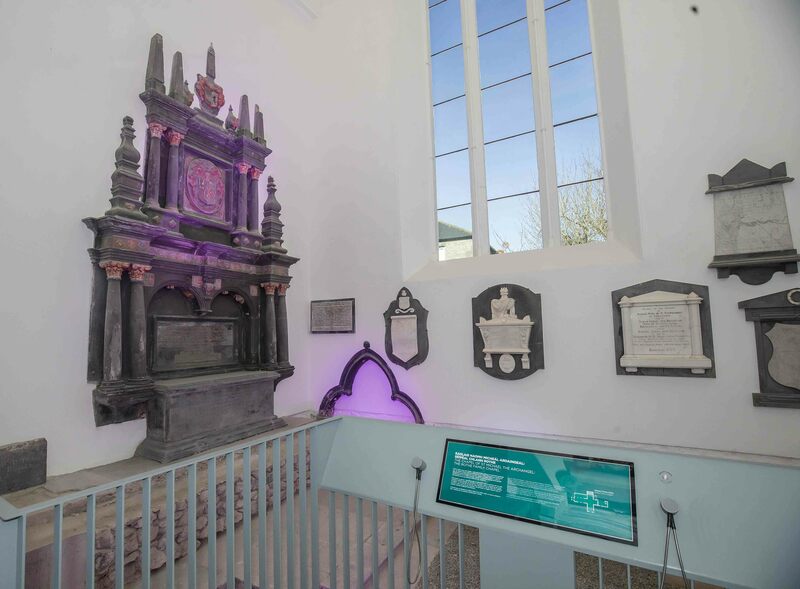 Highlights of the interior include the ornate Rothe Chapel with exposed tombs belonging to the medieval merchant Rothe family and the Kilkenny Room with its unique collection of ancient papers and civic records dating back to the 1200s. 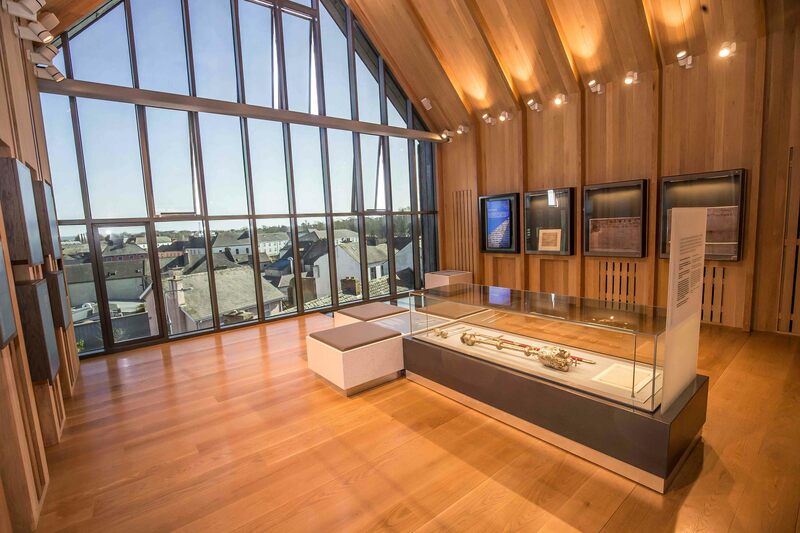 The Kilkenny Room also houses the pure silver Civic Sword and Mace, dating back to 1609 and the historically significant “Liber primus Kilkenniensis,” from 1231 which stands as one of the most important records of medieval town life in Ireland. 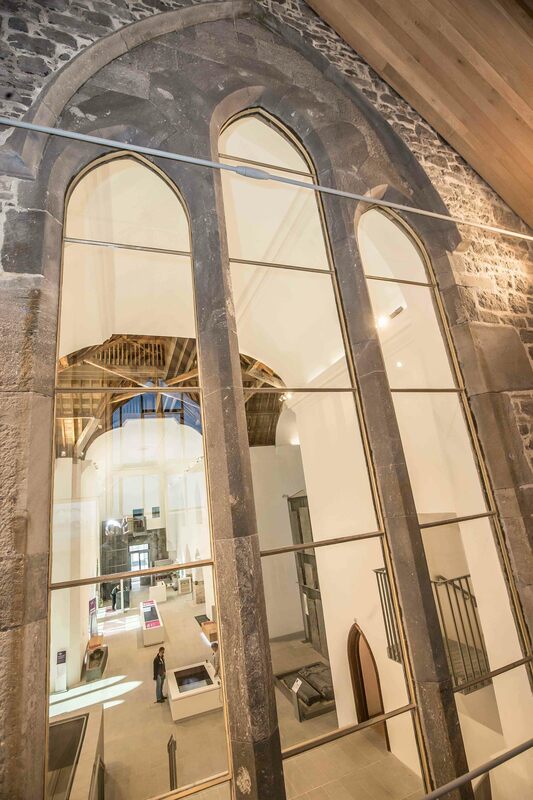 Kilkenny Medieval Mile Museum was presented with the Conservation Award at the Irish Building and Architect of the Year Awards 2017.